Richard Libert Painting Inc. proudly offers Garage Floor Painting and Coating in Temple Terrace Florida. 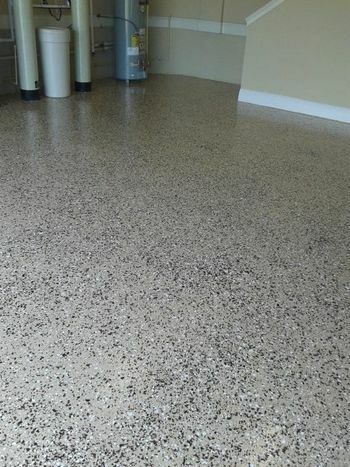 Whether looking for a creative garage floor style for your Temple Terrace home or business, or a simple durable garage floor coating, Richard Libert Painting Inc. is ready. Richard Libert Painting Inc. has experience with several garage floor coatings, paints, epoxies and systems. Our experienced technicians are trained in proper application of garage floor coatings and we take great pride in our work. When you are ready for installation of a garage floor system in your Temple Terrace home or application of a garage floor coating in your Temple Terrace business, Richard Libert Painting Inc. is ready!